The art of upselling and cross-selling not only increases revenue, but it also significantly increases your customer Life Time Value (LTV). When you can upsell or cross-sell products it shows your associates are truly experts on the items in your store and that your students can trust their recommendations. 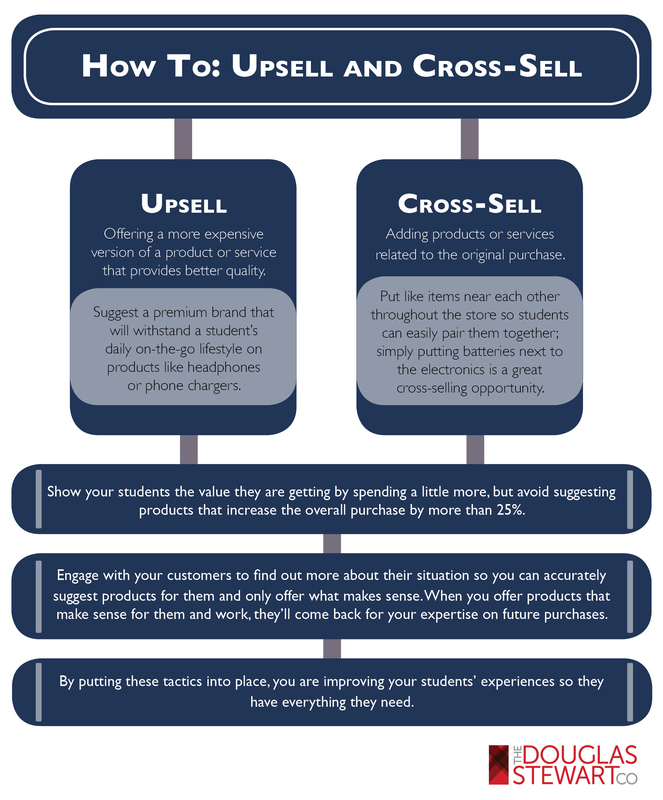 Knowing your students’ needs and wants is the first step to successfully upselling and cross-selling. Upsells and cross-sells are responsible for an average of 10-30% of ecommerce revenues. It’s also 50% easier to sell to existing customers than to new prospects.